Who doesn't recall Turkish Airlines' Messi Vs Kobe ad films? But the airline's new brand film looks like an episode from a crime thriller. A look at the transition - and the trend it reflects. In our interviews with ad folk for 'The Agency Issue', an afaqs! reporter special, many defined 'content' as something that people were hooked on to, enjoyed consuming and did that at will. The features mentioned here could very well fit Turkish Airlines' latest commercial, The Journey. The digital ad is actually a six-minute-long film; a thriller sequence directed by Hollywood director Ridley Scott. The film features a woman, a 007-styled spy, in pursuit of another mysterious woman. While the sequence begins at the Istanbul airport, the woman pursued leaves a trail behind to be followed across international travel destinations. With that description in mind, here's what Hareesh Tibrewala, co-founder and Joint CEO, Mirum India, defines content as, "Something that keeps you engrossed... and you want more of it." And, in the words of Rajiv Dhingra, founder and CEO of WatConsult, content is, "...something that can make you feel emotions..."
ALSO READ: Do marketers still think of video ads in online-offline terms? So, when it comes to Turkish Airlines' advertising, we inadvertently recall commercials featuring Lionel Messi. The best, perhaps, is the minute-long 2013 film featuring Messi and Kobe Bryant, where both compete over clicking a selfie at a new tourist destination. Turkish Airlines launched other such commercials featuring Messi around the same time. However, what's significant is the shift from the one-minute ad film to the six-minute-long thriller sequence. Could this be the signifier of the shift from the 'in-your-face ad' ad to more subtle, embedded 'content'? 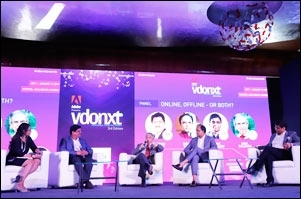 In a panel discussion at our recently held vdonxt asia event, Anupam Bokey, vice president - marketing (CMO), RP Sanjiv Goenka Group, suggested calling video ad films "content" or "communication". The latest Turkish Airlines ad was first aired at Super Bowl LIII and the brand calls it a "cinematic short film". Carlton D'Silva, CEO and CCO, Hungama Digital Services says, "Longer format content helps to extend communication and storytelling. For example, Turkish Airlines can create a teaser for TV and if consumers are intrigued enough, they can watch the full film on digital. "And for ad vs content, it also depends on the product and its communication. For a cold-cream, I'd first go with a 30-seconder to highlight the benefits of the cream; that's an ad and not a piece of content. But it would be content if I make a film about beauty not being just skin-deep and build a story around it in a longer format. Both have a different purpose and will be relevant," D'Silva adds. "Once people know the product, I can go a step ahead and say what it stands for. It can be done with a more meaningful and longer film for a different audience, on a different medium. Today we have digital, tomorrow we might have immersive VR or some other medium," D'Silva signs off. Kunel Gaur, co-founder/creative director of Animal, a Delhi-based ad-agency, says, "Today, we can't really differentiate between an ad and content; the lines between the two are blurred. The content that is most shared and talked about is best in terms of promotion. An 'ad' is what we used to call such content previously. "The term 'content' is more generalised. What we used to call media (images, audio etc.) some time back, is called content now. There are words like campaigns, content, advertorials that we use, but the typical 'ad' term has almost vanished," Gaur adds.